Home > Article > Hands off Venezuela! This policy had and has no place in relations between states. The people of the United States should be especially sensitive to this given foreign interference in our own 2016 elections and its impact on the outcome. 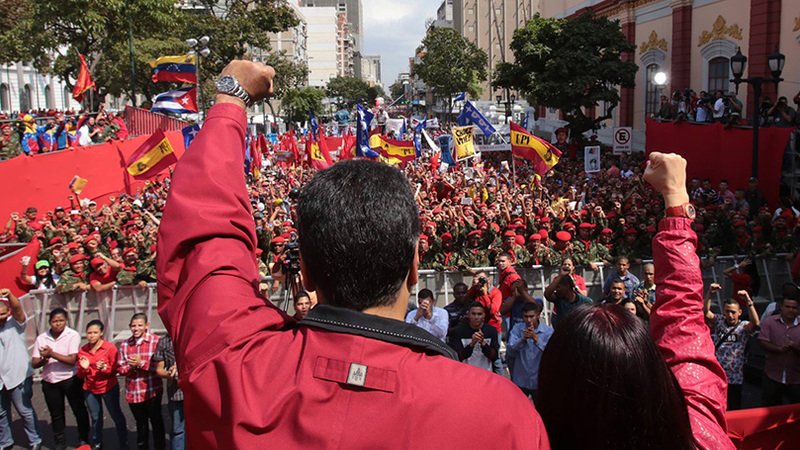 If elections free from foreign interference are good for the U.S., then elections and domestic politics free of foreign intervention are good for the Venezuelan people. This sharp escalation of attacks on Venezuela comes after long U.S. campaign of destabilizing the Venezuelan economy and society. Imperialism cannot tolerate, in its so-called “back yard,” governments that use their nations’ wealth, in Venezuela’s case derived from its massive oil resources, to improve the lives of working people and the poor rather than deliver that wealth to fill the coffers of transnational corporations. This is the very nature of imperialism; it’s why a better system is necessary. Resolving the challenges, crises and political differences in Venezuela is up to the Venezuelan people and their own democratic processes. It must be done free from the U.S. and other foreign interference.